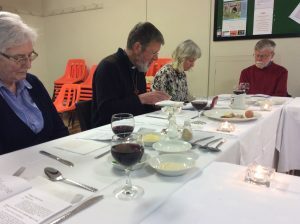 The annual church meeting was held on Wednesday, 26th April. Reports were presented on church services, finance, church fabric, social events etc. Grateful thanks were extended to all who help in church, in any capacity. The PCC was congratulated on the way the church has continued to thrive during the interregnum. 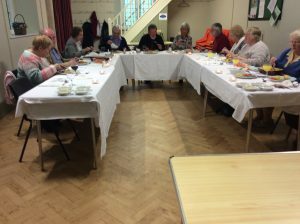 Jill Lucas — churchwarden, Ros Emerton — churchwarden, Sue Watts — church administrator, Gwyneth Garner — secretary, Dorothy Parsons — secretary, John Emerton — treasurer, June Bolt, Hazel Excell, Lyn Lucey, Warwick Knowles, Bryan Parsons. 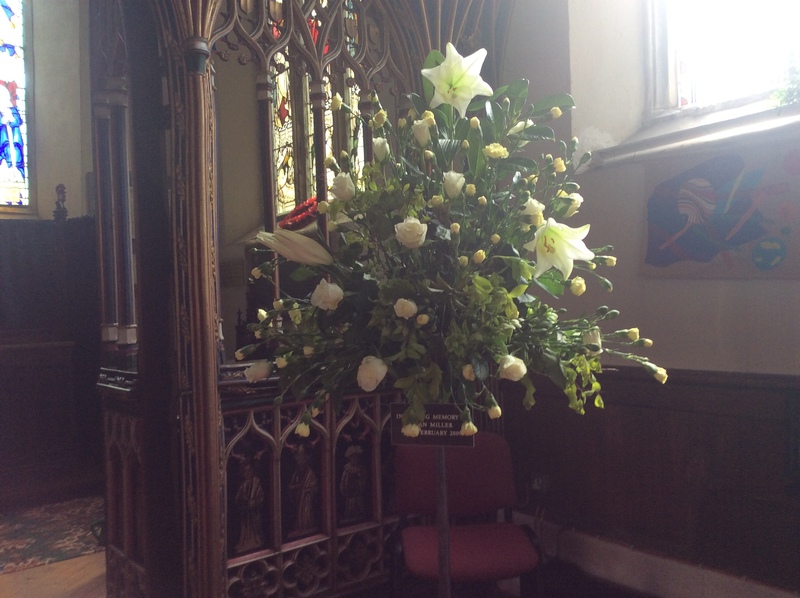 Easter Day was celebrated with Holy Communion, at 8.00am led by Revd Christopher Rowley, and again at 10.00am, led by Revd. Jane Taylor, who spoke on the importance of recognising Jesus when He comes. It was good to welcome so many, both old friends and visitors to the town. 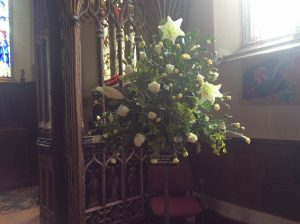 The church was full of flowers and both looked and smelt wonderful! The new Easter Candle was lit, and this will be used at baptisms, weddings and funerals throughout the coming year. We began our celebration of Easter with a Seder meal, conducted by Revd. Christopher Rowley. This commemorates Jesus’ partaking of the Passover feast with his disciples and His instigation of Holy Communion at what became known as The Last Supper. 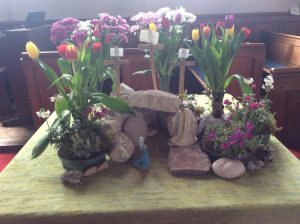 The next morning, Good Friday, we joined with our friends from the Baptist Church and the Gospel Hall for the annual Walk of Witness through the town. A short service was held at each church, finishing with coffee and hot cross buns at the Baptist Church.